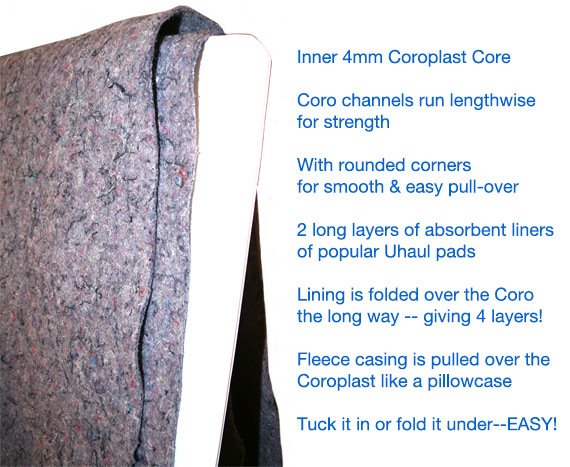 The liners are folded over the Coroplast insert the long way (on the ends). 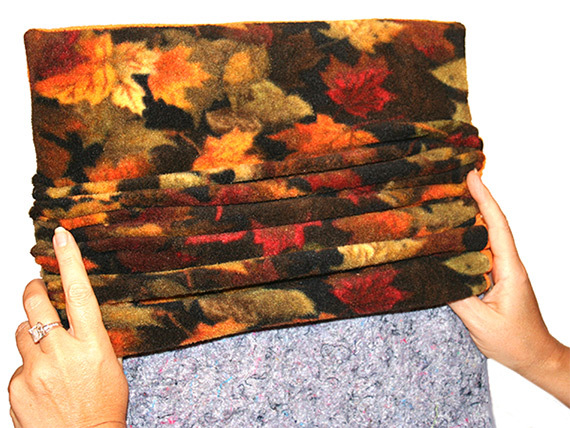 The fleece case is pulled over the Coroplast insert and liners. The extra material at the end is simply folded under the panel or tucked into the liner and panel--which ever you prefer.